Anywhere you happen to be cruising through the numismatic world in cyberspace, you are undoubtedly going to come across the very popular spheres of coin auction houses. On-line coin auction houses are taking the coin world by storm in recent years. This is not only because of the ease of finding coin and auction sites via search engines like google, but because the popularity of coin collecting in general is taking off to unparalleled heights, with tens of millions of collectors across the globe searching for that ‘perfect’ coin. There is no better place to tap into the coin market than the auction houses. Whether you are hunting for old coins, U.S. banknotes, or world paper currency, there are more options available on the web than you can imagine. Of course, auctions of old coins can be a bit tricky, and flavored with a certain amount of risk, so take any extra precaution when necessary, and always check on the coin’s grade, along with the current value with the most recent coin price guides. The growing array of trusted on-line coin auction houses will offer extensive varieties and types of coins, from Rare and Ancient Coins, Gold and Silver Coins, and World Coins, to U.S., Canadian, and World Currency. Coin auction houses have many different types of coins and currency auctions running at the same time, so it is a great idea to browse through multiple auction houses and check out all of the available buying and bidding options. This Top Ten List of on-line coin auction houses and currency auctions will make any coin-hunting process a collector’s dream come true. 1. Archives International Auctions LLC and Dr. Robert Schwartz auction – U.S. and world bank notes, stocks, bonds, and security printing ephemera. Archives International Auctions is constantly looking to buy or take on consignment suitable items or collections of bank notes, stocks, bonds, philatelic material, coins, security printing ephemera, proof and specimen bank notes and historic documents. 2. A.H. Baldwin & Sons Ltd. – Established in 1872, Baldwin & Sons has a long history of serving the numismatic community, with a world-class team of specialists cover virtually all areas of numismatics including English, ancient and foreign coins; military and commemorative medals, tokens, banknotes and books. Baldwin’s retail department holds the largest stock of coins in the United Kingdom. 3. GreatCollections Coin Auctions – GreatCollections Coin Auctions was built to serve the numismatic community and offer an extensive selection of certified coin auctions (and via direct sale), without the risks of dealing with unknown people or companies online. 4. Kuenker Coin Auctions – First established as a numismatic trading company in 1971, today Fritz Rudolf Künker GmbH & Co. KG has achieved a solid reputation among the leading coin and medal auction houses of Europe. More than 10,000 clients worldwide place their trust in them. The company’s first auction was held in 1985, and boast of a positive track record of over 200 auctions since that time. Five times a year, the Künker auction gallery becomes a major rendezvous for friends of numismatics. 5. Bidalot Auction & Coin Dealer – is a family-owned Minnesota based company, with a weekly online coin auction, and at least one other coin auction during the month. 6. 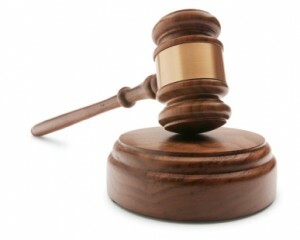 Universal Live Auctions – Universal Live is one of the foremost online coin and currency auctioneers. It conducts three to four auctions weekly, with at least one relating to coins and currency. Offering Gold & Type coins, slabbed (certified) and raw Key Dates, Barbers, Franklins, Kennedys, Morgan and Peace dollars; and a large selection of paper currency. 7. Auction Systems – Auction Systems holds a monthly Coin & Gem Auction that is online only featuring US and Foreign coins and currency along with precious and semi-precious gemstones. 8. Stack’s Bowers Galleries, a division of Fortune 500 Company Spectrum Group International Inc., was launched in January 2011, combining the extraordinary histories of Stack’s, the oldest rare coin auction and retail company in America, with Bowers and Merena Auctions, one of the world’s pre-eminent auctioneers of rare coins and paper money. 9. Heritage Rare Coin Galleries and Heritage Numismatic Auctions, divisions of Heritage Auctions, are the world’s largest numismatic dealers and auctioneers. Roughly ten times per year Heritage holds Signature Auctions of US coins in conjunction with larger shows. Three times a year, they hold Signature Auctions featuring World and Ancient coins, with internet-only auctions of certified, mostly US coins every week. 10. Goldberg Auctioneers are experts in the Numismatic field with over 50 years of experience. In 2010, they were each awarded a Lifetime Achievement for their contributions to the Numismatic Community. Over the last three decades, they have helped people build world-class collections which have realized record-breaking prices.